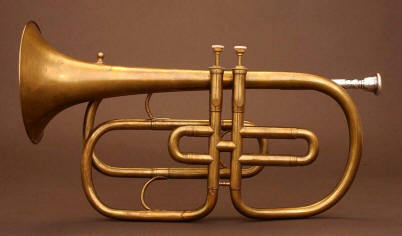 Trumpet in F by A. G. Guichard, Paris, ca. 1840 featuring Stölzel piston valves. From the National Music Museum. A short history of fifes, drums, Boston. Wonderful.